Topcon DT-209L Digital Theodolite with Laser Pointer integrates the same high-quality advanced absolute circle reading technology found in Topcon’s high-performance total station products for more accurate field calculations; and they continue to deliver the highest quality optics and electronics you expect to find in Topcon theodolites. All this, plus the addition of a laser diode that’s perfect for easy, one-person alignment jobs. 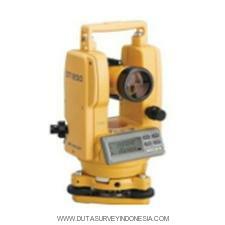 • 170 hours of operation in Angle Measurement Mode on 4AA batteries – better than any other model! 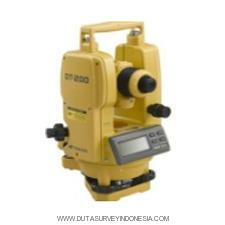 The affordable Topcon DT-209L Digital Theodolite with Laser Pointer delivers 9″ angle accuracy. 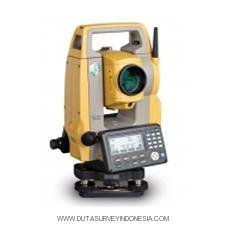 The Topcon DT-209L Digital Theodolite with Laser Pointer weathers any wet or dust conditions in the field, allowing for a more productive day during inclement weather. 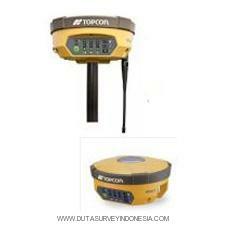 The Topcon DT-209L with Laser Pointer is also compact and lightweight for easy portability; and its simple operation provides precise measurement in a functional, hassle-free package.